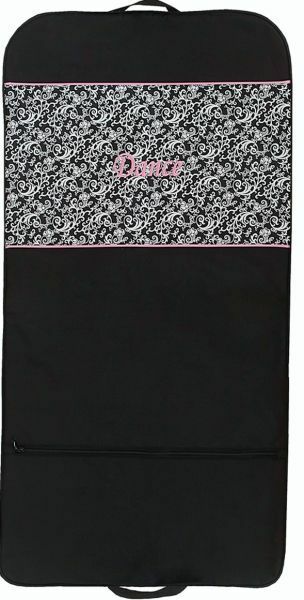 Damask Garment Bag – See the Collection ON SALE NOW! Beautifully embroidered “Dance” on black/white damask design. See the matching medium tote with vented shoe compartment to make the perfect combo. Microfiber material wipes clean with a damp cloth. Can be personalized.